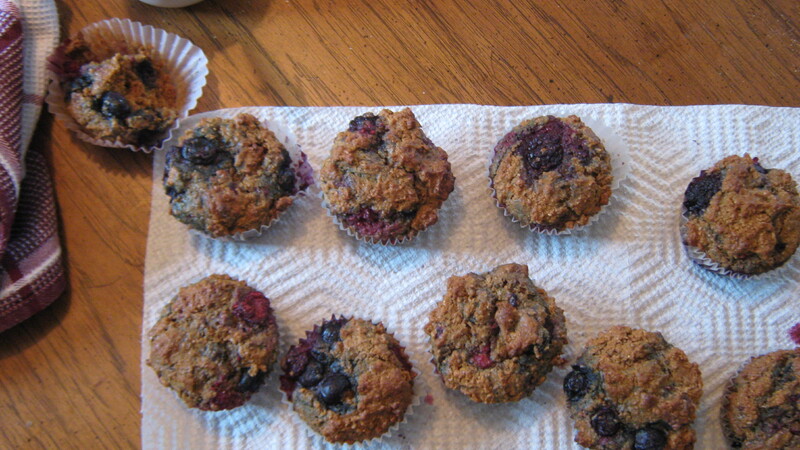 It has seemed in the past that I could not bake a bran muffin to save my life. And that’s sad, because they’re one of my favorite breakfast foods. They’re also great for those of us trying to increase our iron consumption because of the double iron-y (not irony. 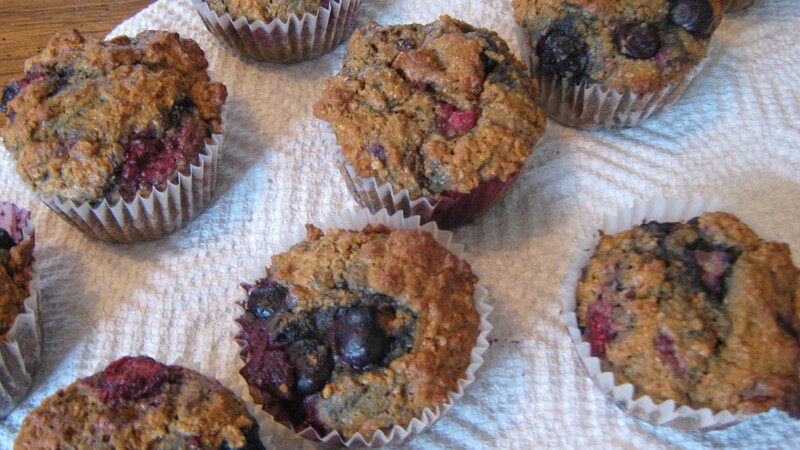 These are not ironic muffins. They are very serious) goodness of molasses + wheat bran. Often times, however, they end up too cake-y, greasy, or sweet. These are the perfect balance of dark and mysterious and healthy and happy and they’re positively exploding with berries. 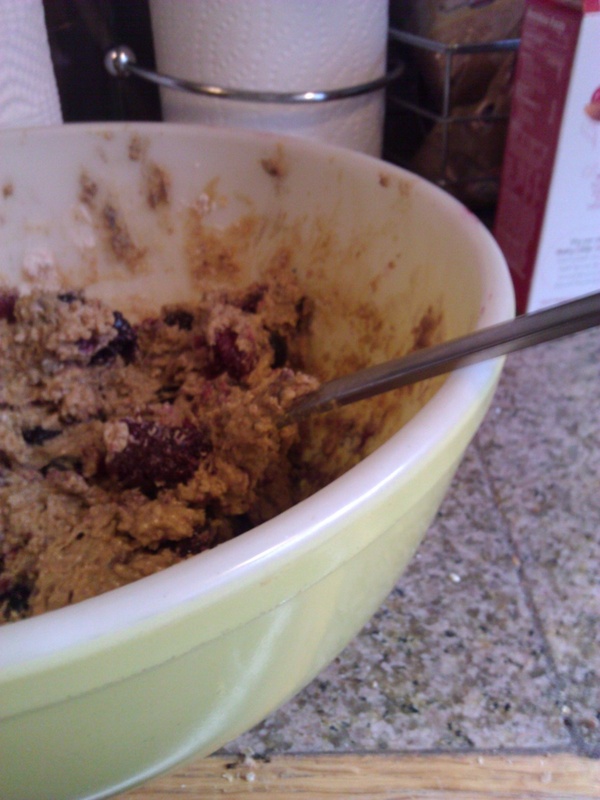 Incidentally, this is the second recipe I’ve made this week using Earth Balance Coconut Spread (the first was EatLiveRun’s Loaded Oatmeal Cookies) instead of butter and I’m totally in love. I’ve been hooked on Earth Balance sticks since my vegan days, and I have never been a fan of butter for high altitude baking where it always seems to leave everything greasy and dry, but this stuff…oh wow. Highly recommended. And I didn’t get paid one thin dime to say that. Preheat oven to 425 degrees Fahrenheit. Spray and line 12-muffin standard tin. 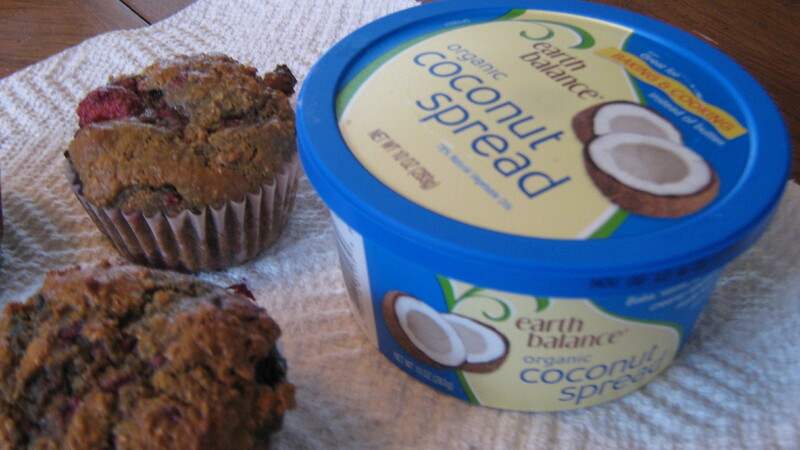 1 stick (½ cup) Earth Balance Coconut Spread, softened. Pop ’em in the oven on a shelf one notch above the middle. Bake at 425 degrees for five minutes, then turn down to 400. Bake at 400 for 15 minutes or until the tops are toasty brown. You’ll want to cool them for a minute or so, but try to turn them out onto a paper towel spread on a table as soon as you can (this prevents them from getting soggy, the tragic downfall of many a berry-filled baked good). You will also want to eat one approximately one minute and thirty seconds after they come out of the oven, though be careful for molten blueberries.